Whoa, we're already 3 weeks into the Magic 8-Ball tour—so much to blog, so many state lines, so many truck stops, long nights, all of the lights! We've done 12 cities so far. I'm proud to say I haven't messed up a city name on the mic yet. The tour started in the South, then we made our way up the East Coast, into the Midwest. Now I'm not even sure where I am. I will attempt to recount the adventures. We're traveling on a tour bus. My last bus tour was the 10,000LB Hamburger Tour two years ago. My openers on this run are Kid Sister and the Gaslamp Killer. There are two Willies on deck: GLK and Kid Sis's DJ Willy Joy. My tour manager is a lady called Robin, she wears knee-high leather boots and has a lot of tattoos. Our bus driver Mike is unusually young, healthy and normal. I brought out my man Kirill as official photographer, videographer and token Russian of the tour. 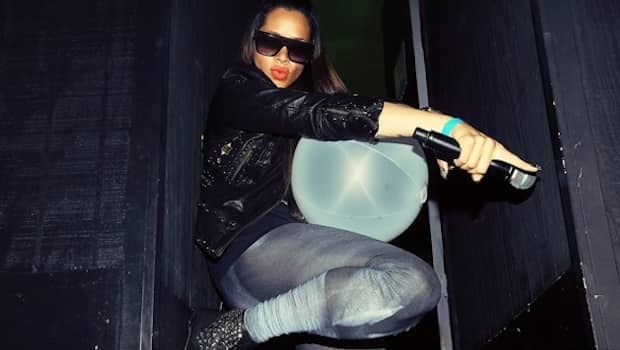 We've got light operators, a sound tech who spends a lot of time inflating balloons, local street teams in each city, lots of merch, and we're pulling a trailer with my big "A" set piece that I premiered at Coachella. It's a circus, but an organized one, thanks to a strict set of bus rules. We kicked off in Texas—Dallas and Austin to be exact. We got off to a great rhythm right from the start, in terms of the flow of the show. We usually have a local opening DJ play as doors open, then Gaslamp Killer goes on his wild psychedelic excursion. In the words of Juicy J, "we trippy mane." Then Kid Sister takes the stage and works the crowd through her calisthenics. And then it's my turn to rock 'em and shock 'em for at least 90 minutes, sometimes more. Until they turn on the house lights, or until I have to pee. Actually that hasn't happened yet but that's sometimes my rule for when to stop a DJ set. 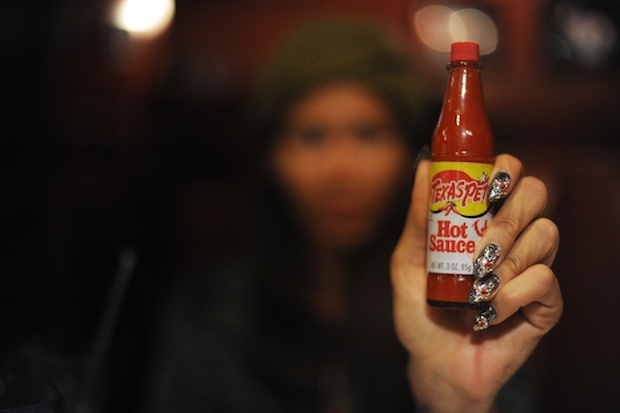 We went to New Orleans, where I hand't been since Katrina. It's such a unique place and it was great to be back. I did a radio interview at the Tulane campus and caught up with some old friends. The homie Chase-N-Cashe from Surf Club also came through and kicked it at the show. We played the House Of Blues and I ate some gumbo. After that came Atlanta. 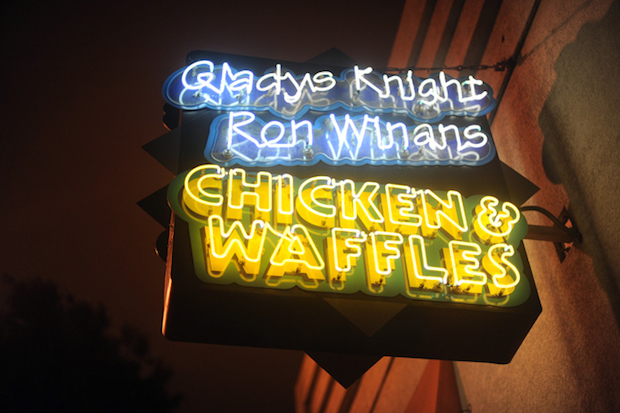 More culinary highlights: had some delicious soul food at Gladys Knight Chicken & Waffles with the crew before the show. This was the biggest venue thus far on the tour, but it had low ceilings so we couldn't fit my whole "A", just the bottom part. It was like the hyphen in my name, illuminated. The club was rammed with people, it was dark and sweaty and I kept playing until really late. The homies Donnis and Pill came and showed love. Some lady was dancing around naked and painted. Speaking of paint: the Nashville show wasn't a regular Magic 8-Ball event, it was worked into one of those Dayglow parties. For the uninitiated, these are massive events where the crowd gets sprayed with neon-colored paint. 3,000 kids show up dressed in white, just waiting for the paint guns to hit them. And they go nuts. 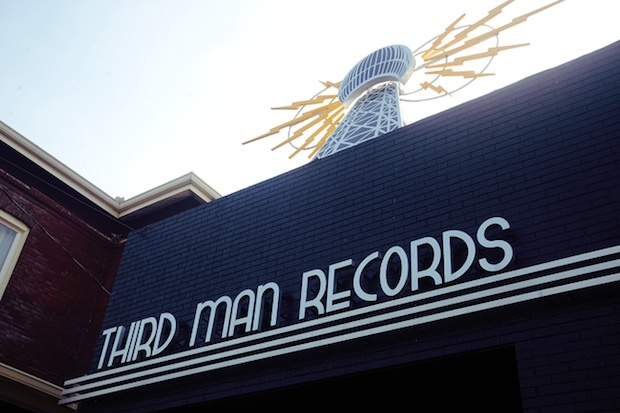 Before getting to that, we went to visit the Third Man Records storefront and got a private tour of their compound. It's great to see a like-minded label in another genre, branding their releases so diligently and successfully adapting to the changes in the industry. We continued our streak of good food (lamb!) and ventured into the paint party. I switched my set around and actually had great time feeding them the biggest chunes. Too bad the power generator blew half the equipment on stage during Gaslamp Killer's set. After five consecutive cities, our first night off was much needed. We arrived in Washington, DC and turned the ol' engines off. 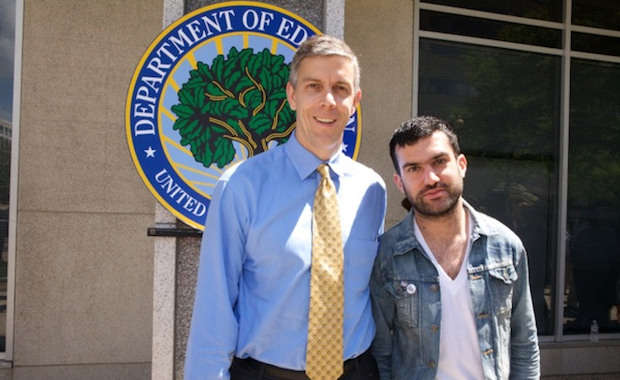 I got invited to an outdoor ceremony by the Secretary of Education, it was funny seeing the PR guy explain to him who I am and what I do. They keep nice lawns over there, around the White House. The DC and Philly shows were dope, they gave me a strange feeling of familiarity just from being back on the East Coast, even though I haven't played those cities much in recent years. We started seeing more and more people that we know. In DC we played U Street Music Hall, the club co-owned by our homie Tittsworth. All this was leading up to the big homecoming show of course: New York City. 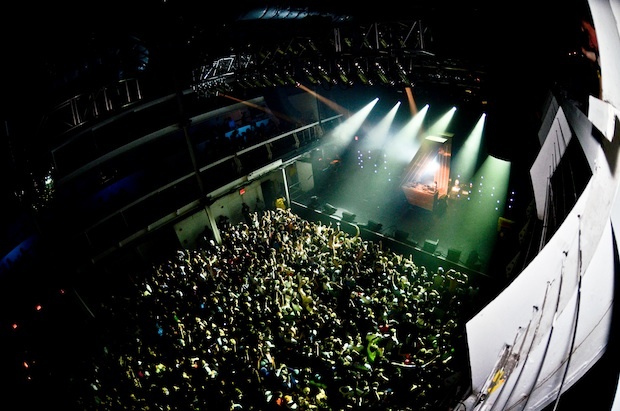 The New York show was at Terminal 5, by far the biggest venue of the tour. 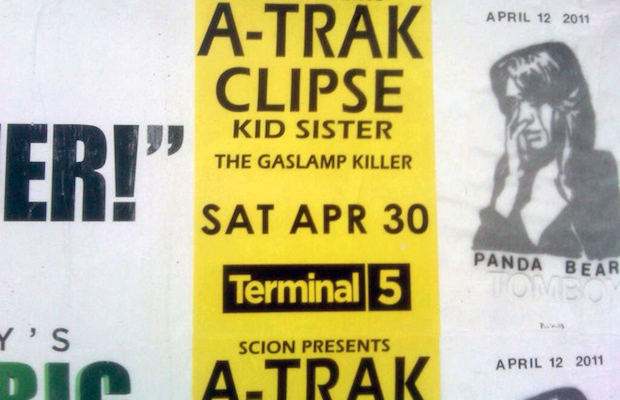 I got the Clipse added to the bill and the whole city was plastered in posters in the weeks leading up to it. I had two days off before the event, which flew by in a flash of course because that's how the City is—always meetings to take and cabs to hail. The show day came. I went to sound check, the "A" looked great on Terminal 5's big stage. In the cab ride back to my apartment I was on the phone with my brother, who was out of town that night. 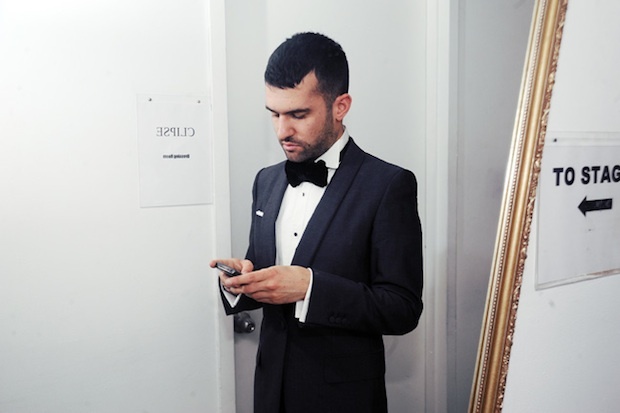 He convinced me to wear a tux for the show, like "come on man, you gotta do something special tonight." The room was full to the brim, and the best way I could describe the crowd is—young. I love seeing new fans come to my shows. All the performers brought their A-game, no pun intended, and it was truly a memorable night. MTV's Style Blog featured me in their prom preview because of the tux. I forwarded the article to my mom. We went to Boston and played at Royale, a great looking room. This was the halfway point of the tour, so we also did some maintenance on all the equipment and made sure everything was in working order. The Chicago show was on Cinco de Mayo, which means that someone passed me a sombrero during my set. 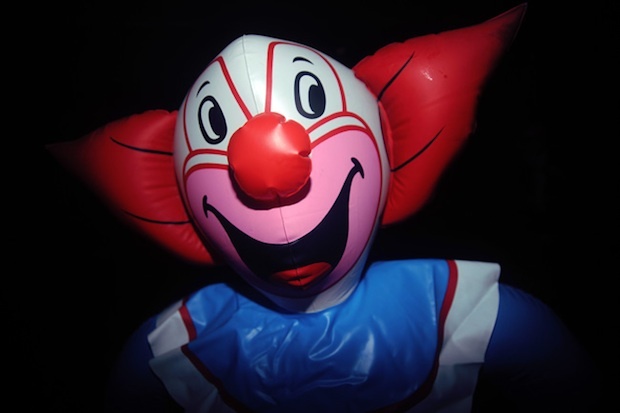 Strangely, Gaslamp Killer found a huge inflatable Bozo The Clown that day at a thrift store, but it was short-lived, eaten alive by the audience. I played an extended set in Chicago and switched things up more than usual because we couldn't fit the full stage setup in that venue. They had great sound though. My set has a general structure that I stick to and then I stretch out certain parts based on the mood and add some new songs that I'm excited to test out. There are a few staples that don't change though, whether it be my new intro, new beat juggles, or some mysterious Duck tracks that I've been teasing more and more, including one about a wolf. So big and bad. Our show in Madison, Wisconsin was my first show in that state so I didn't know what to expect. In the days leading up to it, I was told it was known for its cheese. When I got there, though, I realized how serious they are about that. A fan brought me a "cheesehead" hat. After the show I tasted mac & cheese pizza, which is exactly what the name suggests: pizza topped with macaroni and cheese. It was divine. Madison is a college town, and in fact there are lots of New Yorkers who study there. We met a bunch of them. College towns always make for great crowds, and that was the theme of my weekend. After the show Kirill and I ended up at a house party that felt like a scene out of Superbad. The next day I flew to Eugene, Oregon for a show that was separate from the tour, an on-campus festival at the home of the Oregon Ducks. How appropriate. It was called Mallard Madness! 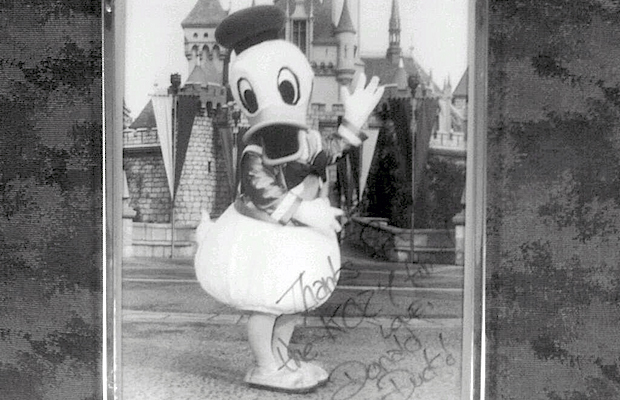 I found an autographed picture of Daffy Duck in the dressing room and was very tempted to steal it. It was Beer Week in Eugene, although no booze was allowed on campus. Yeasayer and Donnis also played. I had a couple thousand college kids on the lawn doing the continuous crowdsurf thing and flashing their "O" hand signs to me, a symbol of the Ducks team. Ducks of a feather flock together. I'll be back soon with more updates from the road, including the West Coast 8-Ball stops and our big Canadian homecoming. Check www.KirillWasHere.com for more photos!